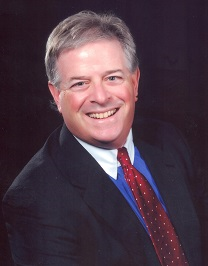 Marc S. Dobin was admitted to the Florida Bar in 1994. Marc is a Florida Supreme Court Certified Circuit Civil Mediator. Mr. Dobin received his Bachelor of Arts from Franklin and Marshall College in 1982, and a Juris Doctor from New York Law School in 1986. Mr. Dobin co-founded the law firm Dobin & Jenks, LLP in January of 1999. Prior to private practice, Mr. Dobin served as in-house litigator for Prudential Securities Incorporated in New York. In January of 2003, Marc was appointed by the Town Council of Jupiter to serve as the Trustee of the town’s Police Officers Pension Fund. He continues to hold this post today and was recently elected chairman of the Board of Trustees. Marc is classified as an industry arbitrator for FINRA, which includes the former National Association of Securities Dealers (NASD) and the New York Stock Exchange (NYSE). Marc has also represented parties in dispute resolution through the American Arbitration Association. Mr. Dobin’s litigation experience includes trying cases and providing representation in both state and federal court. Marc has litigated numerous disputes involving brokers and employing firms, brokerage firms and customers, and employment disputes such as employee raiding cases, partnership disputes and restrictive covenant and non-competition litigation. Marc is often called upon to facilitate commercial transactions and employment separation agreements, and he enjoys his role as a mediator in securities and commercial disputes. Marc’s dispute resolution and litigation background has included such firms as Bank of America, A.G. Edwards & Sons (now Wells Fargo), Morgan Keegan & Co., Stifel Nicolaus & Co., TD Ameritrade, Delta Equity Services Corporation, FONU2, Inc., CitiGroup Global Markets, Inc. (Smith Barney), International Assets Advisory Corporation, Acument Securities, Brookstreet Securities Corporation and Legend Equities Corporation. Marc is an enjoyable speaker for professional and civic groups. He is always available to the media to speak about the securities industry, its rules, regulations. and goings-on. Marc has been a guest on the South Florida Business Report several times. Marc is AV® Preeminent ™ rated by Martindale-Hubbell. AV® Preeminent ™ and BV® Distinguished™ are certification marks of Reed Elsevier Properties Inc., used in accordance with the Martindale-Hubbell certification procedures, standards and policies.